We are a nation of laws and our very sovereignty is being threatened by unstopped illegal immigration. I support President Trump and will fight to give our law enforcement officials the tools and resources they need to fight illegal immigration. We must deploy the national guard, and use any means necessary to stop the rampant caravans of illegals that are heading to the Mexican border. Border security is national security, and I am committed to working with President Trump to build the wall, secure our borders, and put America first. I swore an oath to uphold and defend the Constitution and that oath will guide me to fight for our shared conservative values in the U.S. Senate. It is a bedrock document that protects our freedom, guarantees our liberty and defends us from tyranny. We saw what can happen when people like Barack Obama overreach and when Congress abdicates its responsibility as a co-equal branch. In the Senate I’ll never forget my duty. I am proud to say I have a lifetime “A” rating from the NRA and have humbly accepted their endorsement many times before. As a gun owner and hunter, I will do everything in my power to protect our Second Amendment right to bear arms. We must resist efforts by Liberal Democrats to ban firearms and oppose unconstitutional “Gun registries” that are nothing more than a big-government power grab. Building on President Reagan’s principle of “peace through strength,” I support a strong and fully capable U.S. military. 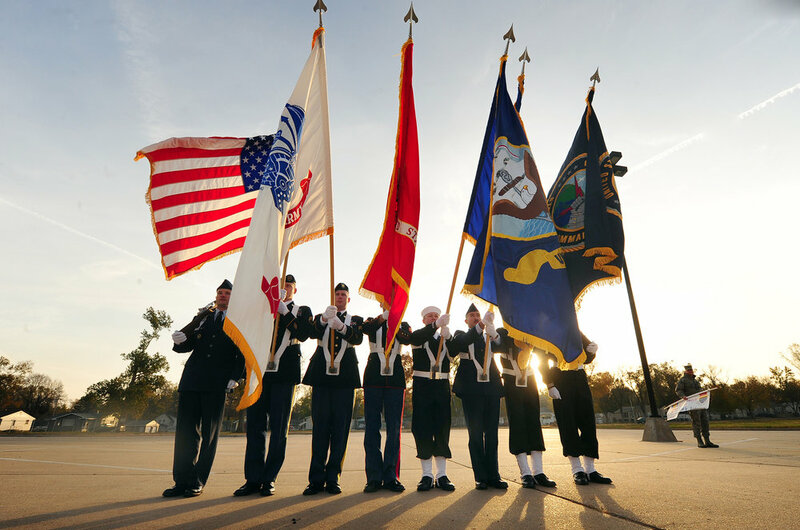 Alabama has a proud tradition of supporting our nation’s military. From Redstone Arsenal to Maxwell-Gunter Air Force Base to Fort Rucker, I will always fight to make sure Alabama leads our country in ensuring a world-class military that can defend our nation from any threat. I will always fight for our warfighters and patriots throughout Alabama who work tirelessly to build and produce first-class ships, tanks, missiles, and military equipment. Washington has a spending problem, which is why I have introduced a Balanced Budget Amendment to the Constitution. Families and small businesses in Alabama must live within their means, and the federal government should play by the same rules. By focusing on eliminating wasteful government programs and agencies, we can rein in spending and leave behind a more prosperous future for our children and grandchildren unburdened by crushing debt. Every day, another son or daughter goes into harm’s way to protect our freedoms and defend our values. When they come home, we must honor their service. Far too many Alabama veterans receive inadequate care in the VA system, and that has to stop. We must hold the VA accountable and demand better care for our veterans. I also support giving veterans the right to access private medical care in their local community, so they do not get stuck in a broken VA system. I want every Alabama family to have access to affordable, high-quality health care. To do this, I support repealing Obamacare and replacing it with a free-market approach that doesn’t put the government between a patient and their doctor. I’m also working with President Trump to lower the cost of prescription drugs, especially for Alabama’s seniors. My faith in Christ is my foundation, and I believe that every child is made in God’s image. As the father of four children, I’ll always cherish the moment I held each one in my arms. It’s simply disgusting that some Democrats are pushing to make it easier to murder defenseless, unborn children, and that Senate Democrats blocked legislation to end late-term abortions and protect babies born alive from abortion. I’ve always made it my priority to support pro-life policies, and I’ve worked tirelessly to defund abortion organizations like Planned Parenthood. Every life is precious, and I will never stop fighting for the unborn. Education has always been a passion of mine, and I want Alabama’s students to receive the best education possible. To do that, I’ve fought to leave education decisions in the hands of local and state officials who know our students best. I am strongly opposed to the federal government telling teachers and parents how to educate our students in Alabama. Alabama’s economy is strongest when taxes are low, government gets out of the way, and our workers are allowed to do their job. Our state’s economy has made major strides in the last decade thanks to conservative, pro-growth policies, and the leadership of President Trump, but we cannot stop now. Through a smaller government and lower taxes, we’ll create thousands more good-paying jobs in Alabama. Rural communities are the lifeblood of Alabama, and it is a priority of mine to help revitalize rural Alabama. Whether it is supporting Alabama’s farmers and landowners, pushing for rural broadband, or fighting to save rural hospitals, I will never forget about the needs and concerns of Alabama’s rural communities. Government should work for the people, and not the other way around. We need a government that is accountable to the people and public servants who serve the public instead of themselves. I’ve fought government corruption first hand and helped put corrupt government bureaucrats in jail. And I have introduced a Constitutional amendment to impose term limits in an effort to ensure we keep fresh blood in the halls of Congress.